Oceanfront - Fabulous home with private boardwalk to beach. Rocking chairs on covered porch. Expanded open deck. This home is a duplex and each side offers a large open living, dining room & kitchen. 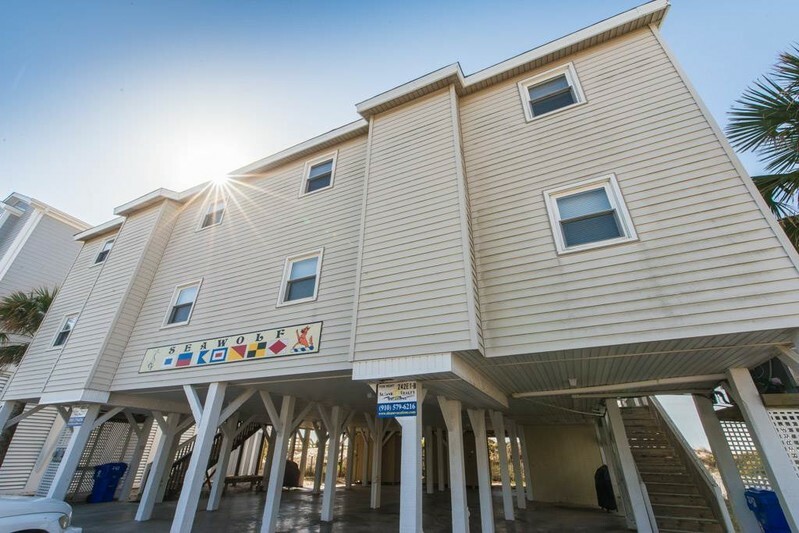 Bright beach décor, NEW couches and tables, large HDTV in each living room, TVs in some bedrooms, supersized grills, two H/C outside shower & covered parking.Dog friendly, simply pay an additional non-refundable pet fee! Sleeps 18. Bedding Up 1Q, 1Q, 1D/1T/Futon, 2D. Lower Level 1K, 2D. NEW in 2019! all bed and bath linens provided.